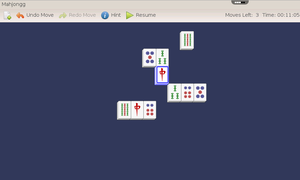 A tile-based solitaire game. Remove tiles in matching pairs to dismantle elaborately designed stacks. 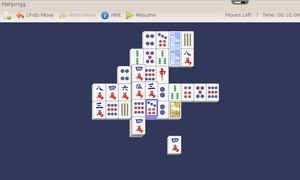 Mahjongg is a solitaire (one player) version of the classic Eastern tile game, Mahjongg. 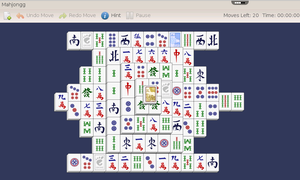 The objective is to select pairs of similar tiles. 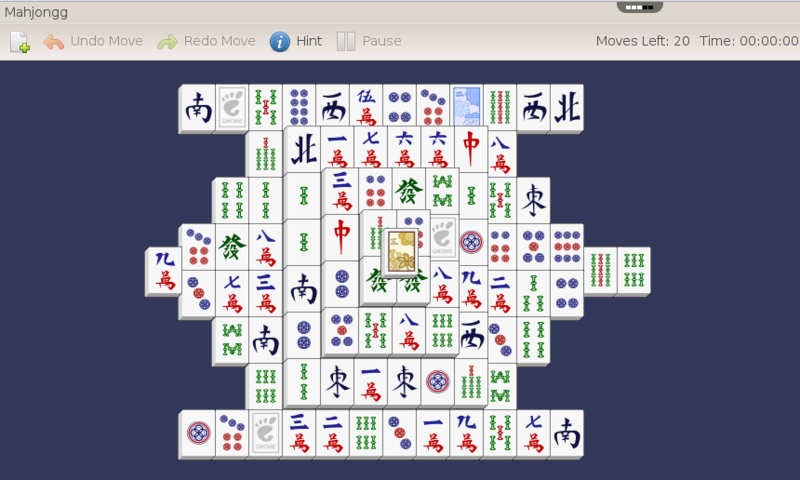 Mahjongg's origins are not fully known, but many theories have been put forth. One such theory says that Noah played Mahjongg on the ark because the East hand is dominant, presumably the direction the rains came, in the flood. Another theory says that the Chinese philosopher, Confucius, made the game. You start with five levels of tiles which are stacked so some are covered up by the tiles on top. The harder the level you set in the Preferences dialog, the more tiles are covered when the game starts. The object of Mahjongg is to remove all the tiles from the game. To remove tiles you have to find matching pairs which look alike. A matching tile will usually have the same number of buttons or markings on it or will look similar to each other. Playing Solitaire-type games and leaving reviews about them means you've got way too much time on your hands. love this game. It would be cool to have scores for all people playing, what do you think?